For any couple that has always wanted something different to be served at their wedding, Drew’s Pastry Place is the perfect choice. Not only do they not specifically do wedding cakes but they are an Italian bakery. This means that you get the elegance of a European pastry made into a stunning cake. 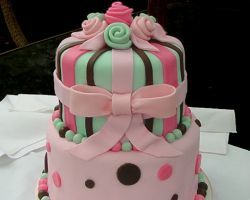 You are able to order whole cakes, cheesecakes or a range of cupcakes to serve as your wedding centerpiece. These delicious options are great for baby shower cakes or birthday cakes as well. 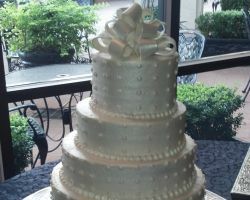 What makes How Sweet It Is Bakery’s creations different from all other Houston wedding cakes is that they put their heart and soul into each one. Their team of bakers and cake designers want to make each cake reflect their boundless spirit and the excitement of your big day. Their cupcake towers are some of the most unique in the industry and their 3D cake models will have your guests in awe. A cake from How Sweet It Is Bakery will be unforgettable. 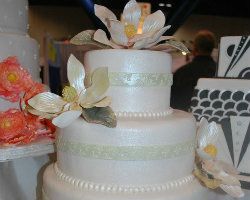 For Three Brothers Bakery is an excellent choice for anyone looking for unique and affordable wedding cakes in the Houston area. The prices at Three Brothers Bakery can fit into anyone’s budget. Whether a couple is looking at vintage wedding cakes or modern custom cakes in Houston they will find what they are looking for at Three Brothers Bakery. It is among the best cake bakeries in the area and many people rely on it for baby shower cakes and birthday cakes as well. No matter what the occasion, cake toppers are provided as well.